Plot Twist (left) will be out to claim another 3200m-win in the Queen’s Cup at Caloundra. 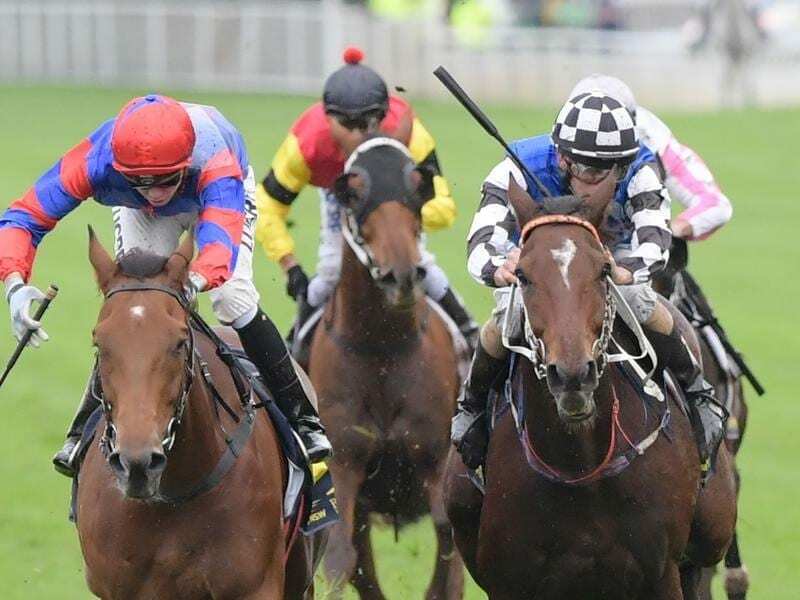 Dour Sydney stayer Plot Twist is likely to get the right soft conditions to help him maintain his unbeaten record at 3200 metres in the Group Three Queen’s Cup at Caloundra. The Queen’s Cup is replacing the Queensland Cup this year and is one of the few races still run at 3200m in Australia. The past two Cup winners Murphy’s Delight (2016) and Araldo Junior (2017), like Plot Twist, started their careers overseas. He made it back-to-back Stayers Cups on June 9 when he out-slogged Doukhan, one of his rivals in Saturday’s race. “He lacks a true turn of foot and the longer the race the better for him. The 3200 metres of the Queen’s Cup obviously suits as he is a really dour stayer,” Paul Snowden said. He won on Insecure (1998), Iggi Pop (2014) and Murphy’s Delight.